Headlines, hot news, and conversation starters on July 27, 2017! 2 Anything Solenn Heussaff does, Nico Bolzico does…better? Check out these new twinning photos and be the judge! LOL! 3 The weather may be a little worse for wear these days, but that didn't stop K-pop idols and former 2NE1 band mates Sandara Park and CL from jetting off to Palawan. So jealous! 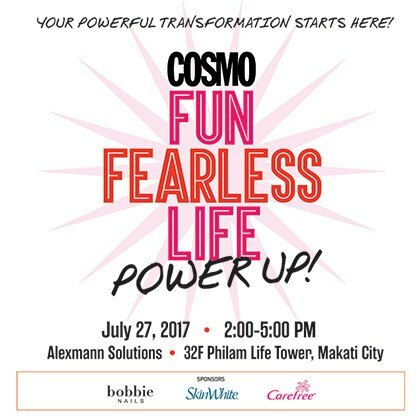 4 Cosmo.ph will head to Alexmann Solutions today, July 27, for the first part of Cosmopolitan's Fun Fearless Life Power Up! This year's Fun Fearless Life will be a three-part office tour where speakers will impart practical and life-changing fashion and beauty advice to Cosmo Girls. This event is made possible by our sponsors: Bobbie Nails, Skin White, and Carefree, who have all prepared activities and prizes for the participating offices. Follow the hashtag #CosmoFFLPowerUp on social media to see all the photos and posts from today! 5 Planning your next vacation? 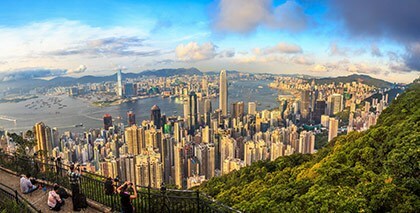 Make it a trip to Hong Kong with Cebu Pacific! To mark the 20th anniversary of the region's handover from Great Britain to China, the low-cost carrier is adding more journeys from Manila to Hong Kong and is upgrading its HK-bound fleet to the spacious Airbus A330. Best part? Even more affordable airfare! "Bigger aircraft means more seats and lower fares for the Manila-Hong Kong route. We look forward to bringing every Juan on a two-hour plane trip to experience the historic twenty-year milestone in Hong Kong's history, or revisit the city with fresh eyes," said Candice Iyog, Cebu Pacific Vice President for Marketing and Distribution.